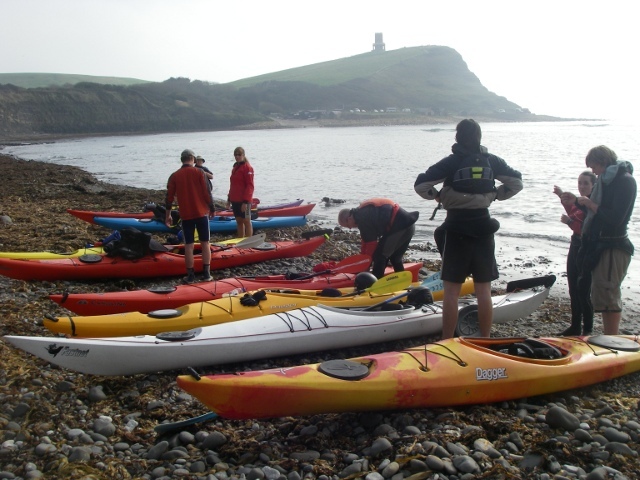 On Friday 10th October, six Isis CC paddlers, Kate Evans, Seb Coombe, Gwylim Williams, Ruari Fangman, Raymond Evans and myself, travelled down to Kimmeridge Bay for a weekend of training on the sea in advance of taking our 3* Sea Kayak assessment. After a food stop at Sainsburys, and a pizza stop for dinner in Winchester, we made it to the hostel at Lulworth Cove with just 9 minutes to spare before it closed for the night. There's nothing quite like powering down dark country lanes, with tanks adorning the verges and MOD signs waning us not to enter certain roads, counting down the minutes until you may be sleeping in a car for the night. The pizza stop wasn't wasted though as Seb and Gwyl made it last until Sunday breakfast, very resourceful! Our first night was interesting as Kate and I got very little sleep thanks to all the snoring ladies in our room. We appeared in the morning looking less than happy and exhausted after enduring a chorus of breathing, croaking and snoring for hours. 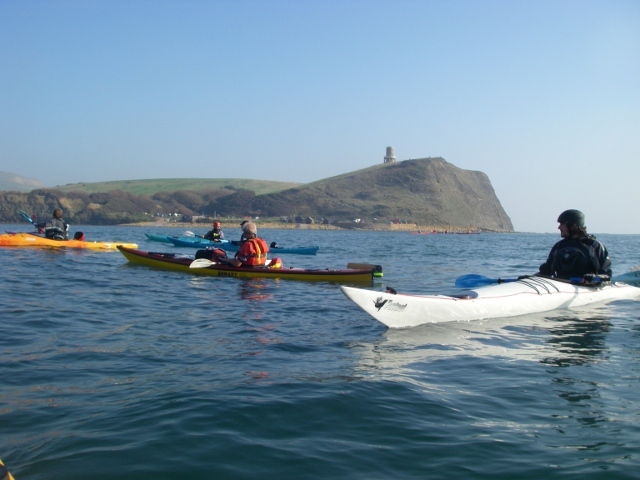 Not letting the lack of sleep put us off we met our coaches, Ken and Pete, at Kimmeridge Bay and spent the first morning practicing key skills, particularly edging, draw stokes on the move, hanging draws and bow rudders. We used the waves to power us to shore for our break and walked to the top of the cliff for lunch, sitting among the crickets enjoying the sunshine, which made it seem more like July than the middle of October. In the afternoon we practised wet skills including support strokes, rescues and rolling, and Seb, Gwyl and Ruari took advantage of some of the waves to do some quite impressive surfing. After a lovely warm day we decided to enjoy a pint at the pub for dinner, discussed the day's events and prepared ourselves for the snoring which lay ahead. Luckily, we had a relatively quiet night and woke feeling a little more rested in advance of our second day on the sea. This time we did a trip from Kimmeridge Bay to Chapman's Pool, practising our leadership skills and map reading to ensure the group arrived at Chapman's Pool safely for lunch. Some small waves on the way there provided some fun and a distraction from the placid water we had previously encountered. As part of the Jurassic coast, we sat among rocks that were teaming with fossils, and it was strange to think that the last time they saw the light of day was millions of years ago. Although sitting under the overhanging cliffs at lunch proved to be a bad idea. As we finished lunch part of the cliff fell away onto the sand where we were standing. A lucky escape and I'm not sure I've ever moved so fast when I heard it falling. We sped back to Kimmeridge Bay in the afternoon helped by the waves and spent the rest of the afternoon practising our rolling and playing on the waves in the sunshine. We all had a superb weekend, which was lots of fun, and we owe a massive thanks to Ken and Pete for making it so varied and good fun. Bring on the assessment!